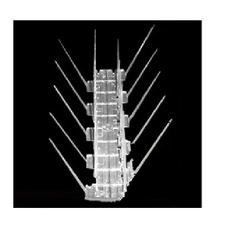 Prominent & Leading Manufacturer from New Delhi, we offer bird proof net, bird proofing gel, 2 row bird proofing spikes, bird control services gel, bird proofing spikes and shock-a-way track. 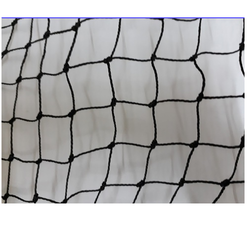 Use in areas like buildings, monuments, courtyards, garages; offers inexpensive usage, machine made net that is all weather proof as well as UV stabilized, allows for zero maintenance, are easy to install by expert team, comes with support of border rope for extra strength tie cords for easy installation, has shelf life of 10 years. We are leading manufacturer of Bird Proofing Services in India against bird menace. The product has been used successfully in India for last 25 years by over 1500 organizations, and majority of them have issued us performance certificates We assure you that our product shall eradicate the entire bird menace at the site where it is applied, whether it be manufacturing shed, storage area, godowns, powerhouses, Factories and Plants. 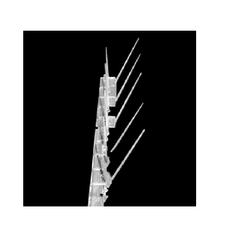 Bird Spikes is 100% clear Polycarbonate Spikes. ULTRA VIOLET Protected-Sun and weather proof (Not affected by extreme temperatures). 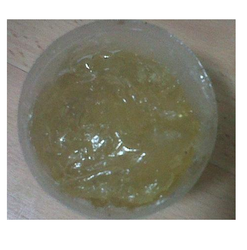 Non- Conductive plastic-will not interfere with electronic signals or communication system. Break Resistant-Rigid/Super Strong. Sturdy plastic does the same job as Stainless steel at a FRACTION of the cost. Shock-A-Way Track offered comprise low-profile bird control product that offers support for perfect deterrence from all types of birds. 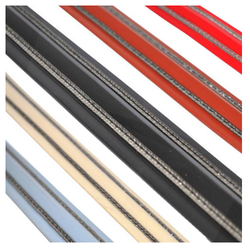 Providing use as flexible bird control, it can be used in any building, opening as well as architectural configuration and can be offered in different color choices. Available in packaging of 50 feet rolls, works a low-profile bird control that deters all birds like sparrows, seagulls, , pigeons; extremely flexible usage, product is nearly invisible with only 1/4 inch in height, perfectly solves pest bird issues without unsightly bird deterrent methods, developed from U.V. stabilized PVC and stainless steel finish, durable material finish for protecting buildings for years from bird issues, offers use as cost effective bird control product. Most types of birds like feral pigeons, starlings, sparrows etc. Pestgo when applied creates an unstable surface unacceptable to birds thus deters their presence. Pestgo is most easily applied. It can also be pumped on to surfaces with the use of a suitable pumping machine. Pestgo has particular value in industries like paper, textile, Food, pharmaceuticals, Automobile, Machinery/Ancillaries, Electronics and various other types. Pestgo has wide use in Aircraft Hangers, Railway Installations, Shipping, Telecommunication lines, Bridges, Neon Signs Hoardings, Hospitals, Hotels, Architects and promoters of Real Estates etc. where bird dropping can cause untold damage. PESTGO is a Bird Deterrent Gel suitable for preventing the colonization of most types of birds like feral pigeons, starlings, sparrows etc. Pestgo when applied creates an unstable surface unacceptable to birds thus deters their presence. Pestgo is most easily applied. It can also be pumped on to surfaces with the use of a suitable pumping machine. Pestgo has particular value in industries like paper, textile, Food, pharmaceuticals, Automobile, Machinery/Ancillaries, Electronics and various other types. Pestgo has wide use in Aircraft Hangers, Railway Installations, Shipping, Telecommunication lines, Bridges, Neon Signs Hoardings, Hospitals, Hotels, Architects and promoters of Real Estates etc. where bird dropping can cause untold damage.